Guo, X., Li, R., Yu, Q., & Haake, A. (2017). Modeling Physicians' Utterances to Explore Diagnostic Decision-making. In the 26th International Joint Conference on Artificial Intelligence. 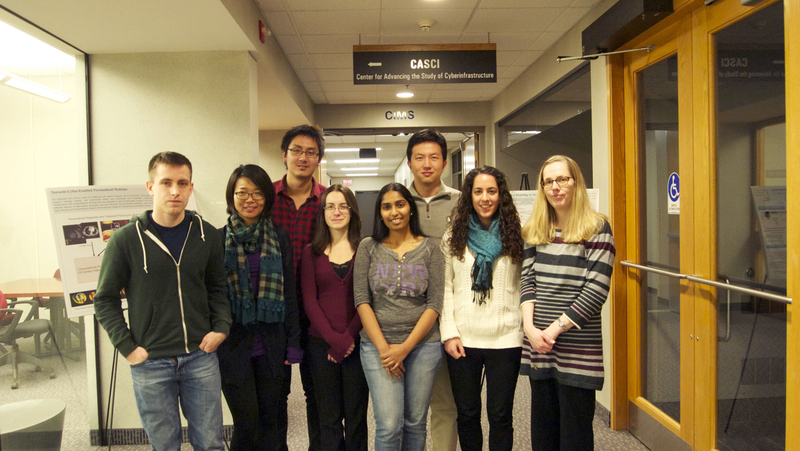 Guo, X., Yu, Q., Li, R., Alm, C. O., Calvelli, C., Shi, P., & Haake, A. (2016). Intelligent medical image grouping through interactive learning. International Journal of Data Science and Analytics, 1-11. 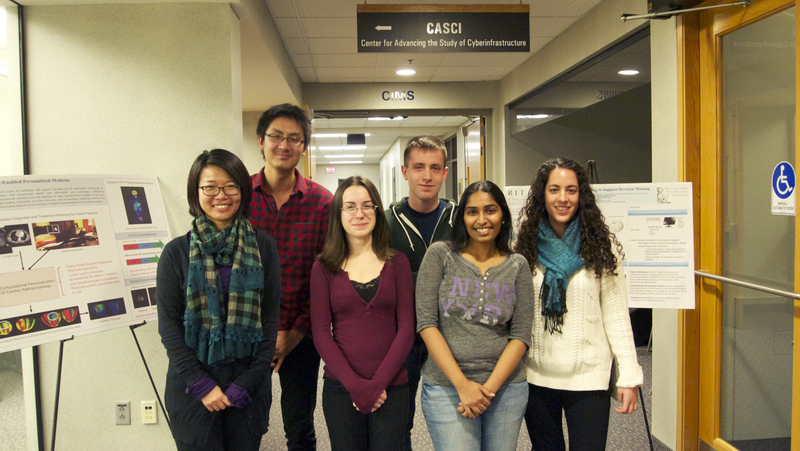 Guo, X., Yu, Q., Li, R., Alm, C. O., Calvelli, C., Shi, P., & Haake, A. (2016). An Expert-in-the-loop Paradigm for Learning Medical Image Grouping. In Advances in Knowledge Discovery and Data Mining (pp. 477-488). Springer International Publishing. Vaidyanathan, P., Prud'hommeaux, E., Alm, C.O., & Pelz, J.B., (2015). Computational integration of human vision and natural language through bitext alignment. In iV&L 2015, EMNLP 78-80. Vaidyanathan, P., Prud’hommeaux, E., Alm, C.O., Pelz, J.B., and Haake, A.R. (2015). Alignment of eye movements and spoken language for semantic image understanding (pp. 76-81). Proceedings of the 11th International Conference on Computational Semantics, London, UK. Bullard, J., Alm, C. O., Yu, Q., Shi, P., & Haake, A. (2014). Towards multimodal modeling of physicians' diagnostic confidence and self-awareness using medical narratives. In Proceedings of COLING, the 25th International Conference on Computational Linguistics: Technical Papers (pp. 1718-1727). Guo, X., Yu, Q., Li, R., Alm, C.O., & Haake, A. Fusing Multimodal Human Expert Data to Uncover Hidden Semantics. 7th Workshop on Eye Gaze in Intelligent Human Machine Interaction: Eye-Gaze and Multimodality. 16th ACM International Conference on Multimodal Interaction. Womack, K., et al. Toward Automatic Extraction of Semantic Units of Thought in Physician Reasoning Processes. 15th International Clinical Phonetics and Linguistics Association Conference. Stockholm, Sweden. June 2014. Vaidyanathan, P., Pelz, J., Alm, C.O., Shi, P., & Haake, A. Recurrence quantification analysis reveals differences in eye-movement behavior between expert and novice dermatologists. Proc. of ETRA 2014: 303-306. Guo, X., Li, R., Alm, C.O., Yu, Q., Pelz, J., Shi, P., & Haake, A. Infusing Perceptual Expertise and Domain Knowledge into a Human-Centered Image Retrieval System: A Prototype Application. Proc. of ETRA 2014: 275-278. Guo, X., Yu, Q., Alm, C., Calvelli, C., Pelz, J., Shi, P., & Haake, A. From Spoken Narratives to Domain Knowledge: Mining Linguistic Data for Medical Image Understanding. Artificial Intelligence in Medicine, Elsevier 2014. Womack K*., Ovesdotter Alm, C., Calvelli, C., Pelz, J., Shi, P., & Haake, A. Using linguistic analysis to characterize conceptual units of thought in spoken medical narratives. (pp. 3722-3726) Proceedings of Interspeech 2013, Lyon, France. Vaidyanathan, P., Pelz, J., Ovesdotter Alm, C., Calvelli, C., Shi, P., & Haake, A. (2013) Integration of Eye Movements and Spoken Description for Medical Image Understanding. Book of Abstracts of the 17th European Conference on Eye Movements, 6(3), pp.40. Li, R., Shi, P., & Haake, A. R. (2013, June). Image Understanding from Experts' Eyes by Modeling Perceptual Skill of Diagnostic Reasoning Processes. InComputer Vision and Pattern Recognition (CVPR), 2013 IEEE Conference on(pp. 2187-2194). IEEE. Womack, K*., Ovesdotter Alm, C., Calvelli, C., Pelz, J., Shi, P., & Haake, A. (2013) Markers of Confidence and Correctness in Spoken Medical Narratives. (pp. 2549-2553) Proceedings of Interspeech 2013, Lyon, France. In print. Wang, D., Haake, A., Simpson, S., & Pelz, J. (2013). Head motion compensation for remote eye tracker. In K.Holmqvist, F. Mulvey & R. Johansson (Eds. ), Book of Abstracts of the 17th European Conference on Eye Movements, 11-16 August 2013, in Lund, Sweden. Journal of Eye Movement Research, 6(3), pp. 225. McCoy, W*., Ovesdotter Alm, C., Calvelli, C., Pelz, J., Shi, P., & Haake A. (2012) Linking uncertainty in physicians’ narratives to diagnostic correctness (pp. 19-27). Proceedings of the Workshop on Extra-propositional aspect of meaning in computational linguistics at the 50th Annual Meeting of the Assoc. for Computational Linguistics 2012, Jeju, Korea. McCoy, W*., Ovesdotter Alm, C., Calvelli, C., Li, R., Pelz, J., Shi, P., & Haake A. Annotation schemes to encode domain knowledge in medical narratives (pp. 95-103). Proceedings of the 6th Linguistic Annotation Workshop at the 50th Annual Meeting of the Assoc. for Computational Linguistics 2012, Jeju, Korea. Womack, K*., McCoy, W*., Ovesdotter Alm, C., Calvelli, C., Pelz, J., Shi, P., & Haake A. Disfluencies as extra-propositional indicators of cognitive processing (pp. 1-9). Proceedings of Workshop on Extra-propositional aspect of meaning in computational linguistics; 50th Ann. Meeting of the Assoc. for Computational Linguistics 2012, Korea. Li, R., Pelz, J., & Haake, A. Learning Eye Movement Patterns for Characterization of Perceptual Expertise. Proc. of ETRA 2012. Li R., Pelz, J., Shi, P., & Haake, A. Learning Image-Derived Eye Movement Patterns for Characterization of Perceptual Expertise. Proceedings of CogSci 2012, 1900-1905. Vaidyanathan, P.; et al. Visualinguistic Approach to Medical Image Understanding. Proceedings of the AMIA 2012 Annual Symposium, Chicago, November, 2012. Ed. William Hersh. Chicago, IL: AMIA, Web. Engelman, C*., Li, R., Pelz, J., Shi, P. & Haake, A., Rochester Institute of Technology, USA, Exploring Interaction Modes for Image Retrieval, Proceedings of the 1st Conference on Novel Gaze-Controlled Applications (NGCA 11) 2011, Article #10. Vaidyanathan, P., Pelz, J., Li, R., Mulpuru, S., Wang, D., Shi, P., Calvelli, C., & Haake, A., "Using human experts' gaze data to evaluate image processing algorithms," IVMSP Workshop, 2011 IEEE 10th , vol., no., pp.129-134. Li, R., Vaidyanathan, P., Mulpuru, S., Pelz, J., Shi, P., Calvelli, C., & Haake, A., (2010, November). Human-centric approaches to image understanding and retrieval. 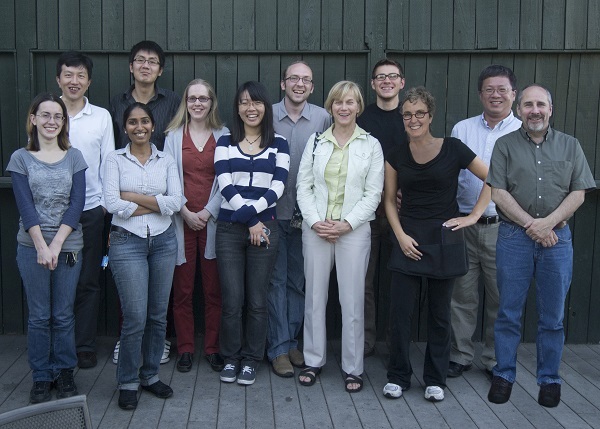 In Image Processing Workshop (WNYIPW), 2010 Western New York(pp. 62-65). IEEE. Li, R., Rozanski, E., & Haake, A. A User Model to Predict Web Page Viewing Behavior. Adjunct Proceedings of UMAP 2010. Li, R., Rozanski, E., & Haake, A. Framework of a Real-Time Adaptive Hypermedia System. Workshop of SIGIR 2009.